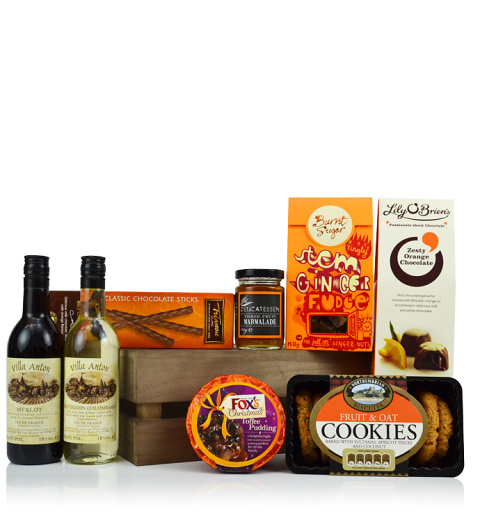 Our Fireside Christmas Crate is a real winter warmer this year at Prestige Hampers. With 2 bottles of wine, delicious chocolates, Christmas pudding, cookies and more, this gift is sure to delight your lucky recipient. The Fireside Christmas crate is available for UK delivery.